Hello, my name is Rafaela. 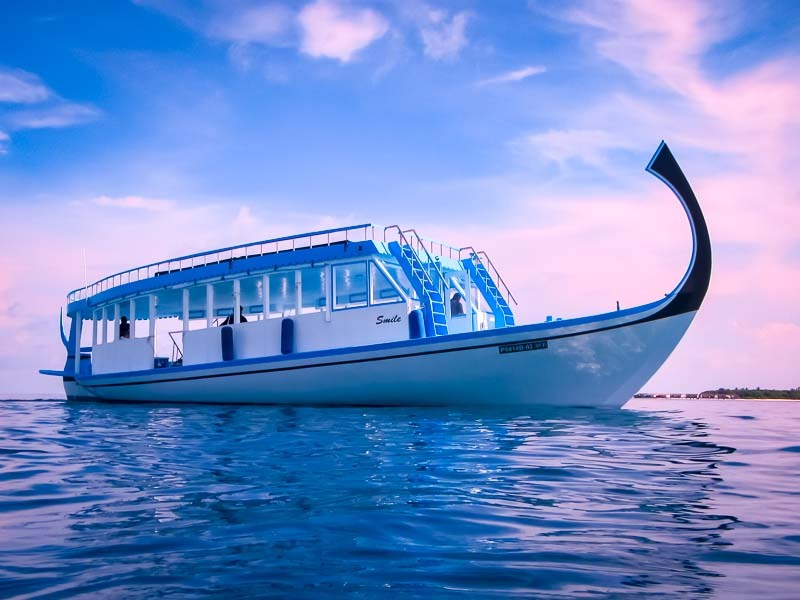 I’m 25 years old and I’m the new intern at the Marine Discovery Centre at Landaa Giravaaru. I graduated from my Master’s degree in Marine Biology early this year at the University of Algarve in Portugal. I have been here for 5 weeks now and I’m really enjoying it and learning a lot. I have spent time helping Saphire (Marine Biologist) with the turtles, and also monitoring the frames around the island with Simon (our Coral Biologist). My day starts at 9am helping Saphire with the turtle feeding and pool cleaning. In the afternoon I usually go on Dolphin Cruises or snorkels with the guests. If I’m not on an excursion, I’m assembling or monitoring the coral frames, and helping with the turtle feeding at 5pm with guest participation. Flossy, a juvenile found in a ghost fishing net. Unfortunately, after approximately a week in our centre, Flossy passed away, possibly due to a severe infection from her injuries. Indianna has all four flippers and is doing fine apart from not eating very often. She has a laceration on her left flipper that we are monitoring closely to make sure it does not get infected. We hope to put her in the ocean enclosure soon, so she can relax and learn to dive again. Albert is currently in the ocean enclosure; he is missing his front and back flipper, and sits low in the water so we hope he can dive soon. Frisbee is missing both front flippers. We tried to put him in the enclosure with Albert, but they don’t play well together so we brought him back. 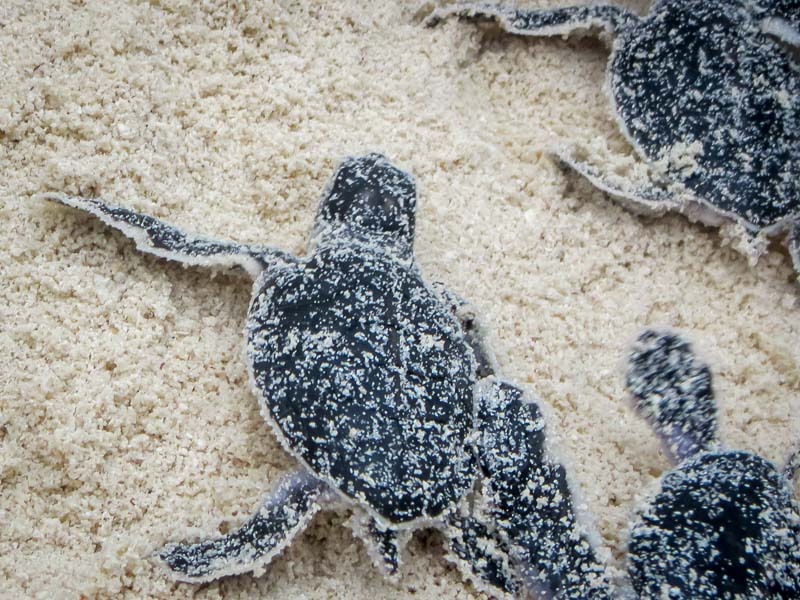 Wednesdays are “turtle care day”, which means we clean and attend to turtles’ injuries. Now that we have 7 turtles, this takes us all day. At the moment, Chomper, Lily and Indianna are on antibiotics that have to be administered through a syringe, which is something I have never experienced before. I have joined the Manta Trust team for a day because I really wanted to see and swim with mantas. 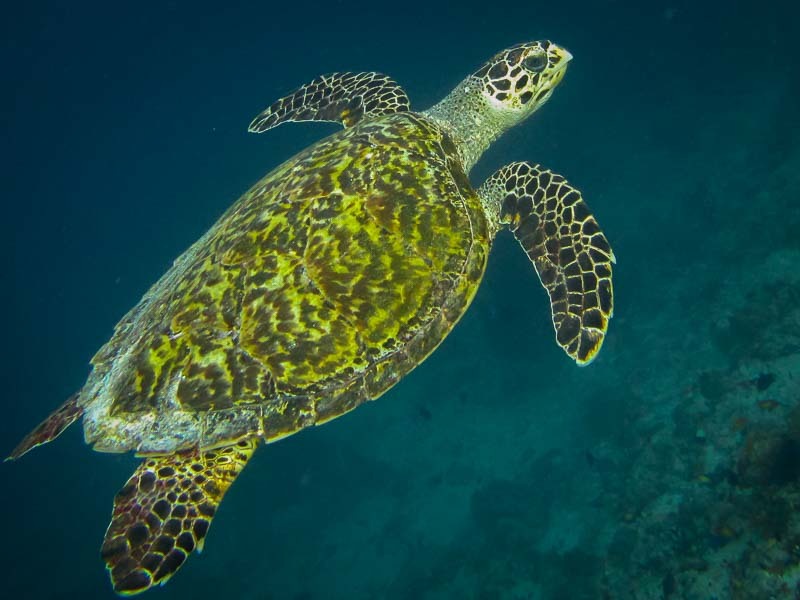 Fortunately, I was lucky because we got to see a few and I was able to swim with them at the cleaning stations. During the Dolphin Cruises, we try to take as many photos as we can. 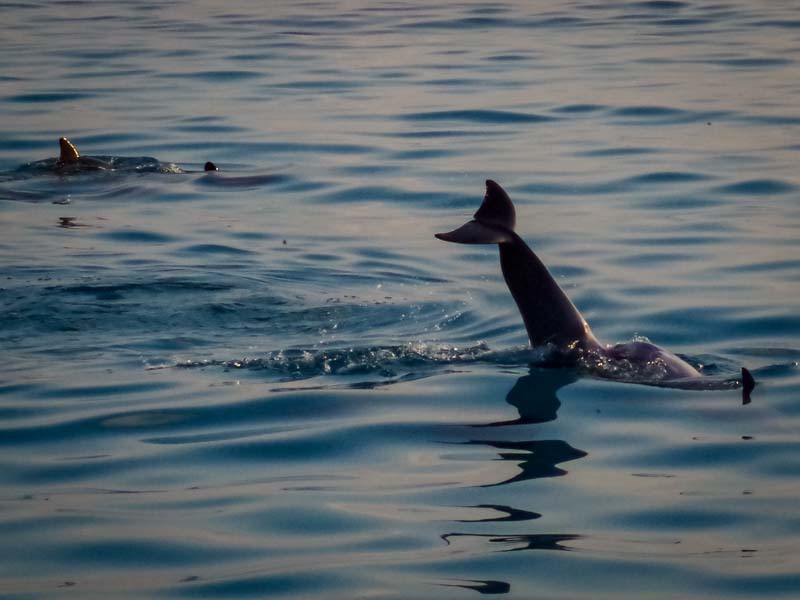 Some of the dolphins have distinctive and uniquely shaped dorsal fins, and this is how we can identify individuals for our ID Project. We use I3S software that compares the pictures that we take to the pictures that are already in the database, and tries to find a match. After 5 weeks, I have Identified 5 new dolphin individuals so far. Two months after my arrival, I could see that Chomper was showing some improvements in his health and sitting lower in the water (less buoyant). Indianna, our latest arrival, is the turtle closest to being released back into the ocean, since she is not missing any flippers and is able to dive a little. A new shade has been assembled in the ocean enclosure, so Indianna will be going there soon to improve her diving! 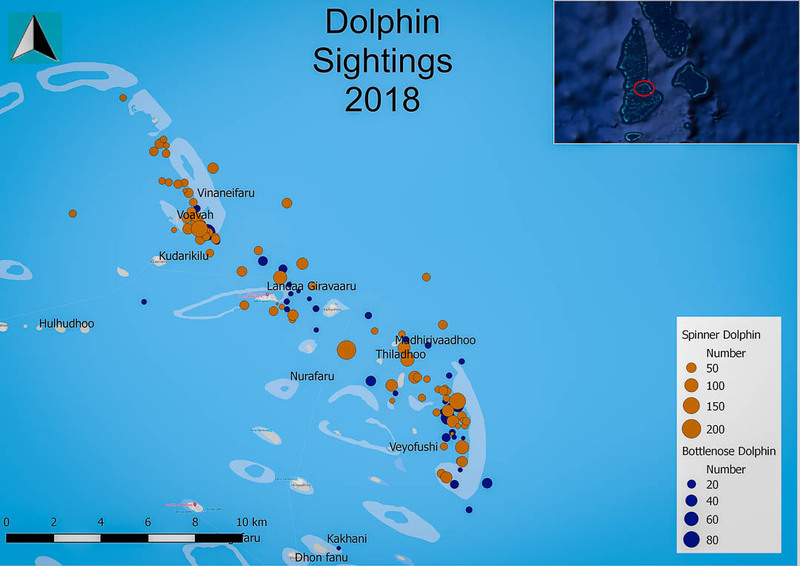 Recent weeks have been very good for spotting dolphins, with every cruise being successful at sighting at least one pod, usually of Spinner dolphins. 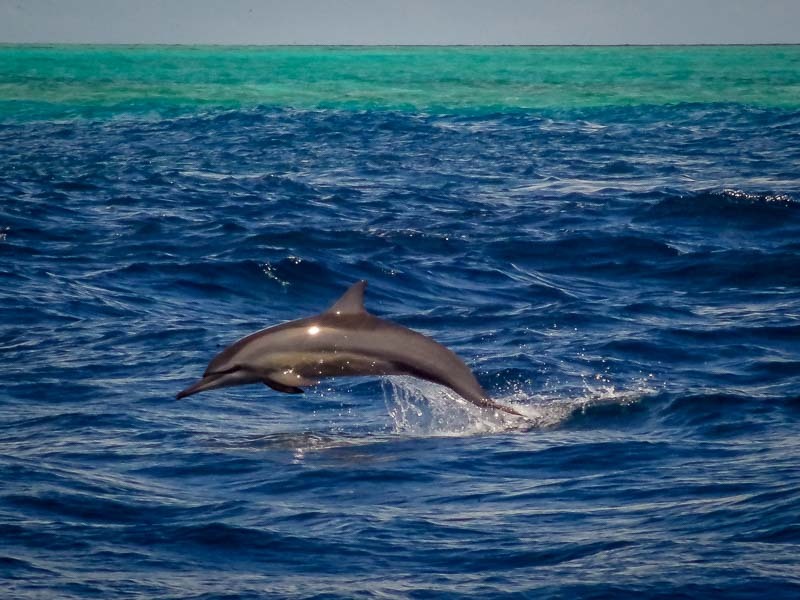 The Bottlenose dolphins are shy, but the Spinners always swim alongside the boat and follow alongside for a long time, leaping and spinning into the air. For my intern project, I have been analysing the recorded megafauna sightings from our snorkel and dive trips. 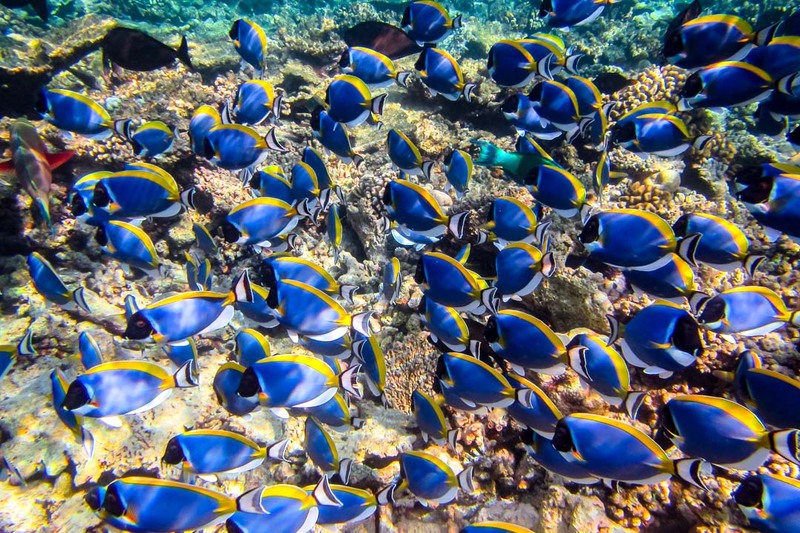 By collating the various species and different locations around the atoll, we can increase our knowledge about local populations and their movements. We close the Marine Discovery Centre at 6pm, and soon afterwards it’s dinner time. After dinner, we sometimes play pool in the staff lounge, and then I’m off to sleep because I usually go to bed very early!